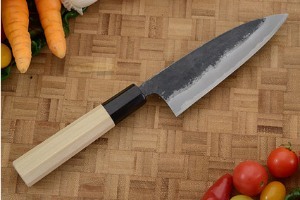 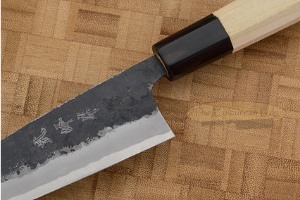 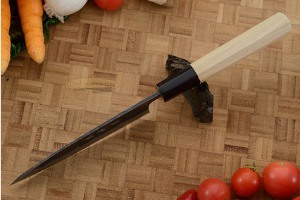 Description: The Kobocho is a short but wide knife perfectly suited for fine-detailed tasks such as dicing, julienne, batonnet and brunoise. From mincing garlic and scallions to small chopping tasks, this is a great knife to grab. 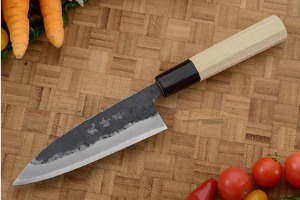 The wide profile allows the knife to be used over a cutting board, while the short blades make this knife easy to control.